At long last, the works of the Beatles are available in iTunes. 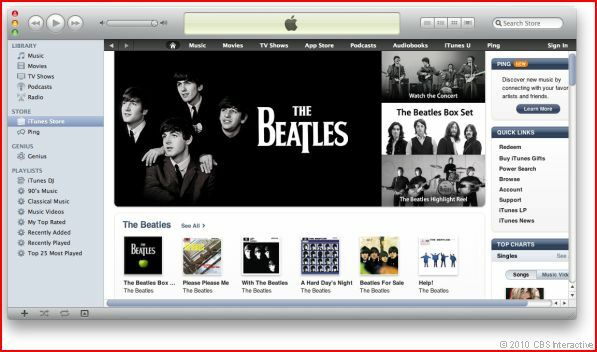 The digital content is exclusive to iTunes, a representative of The Beatles’ record company, EMI, told CNET. The exact length of that deal is unknown, but it will expire some time next year. As of now, the iconic band’s entire catalog can be purchased in Apple’s iTunes Store. Each album comes with iTunes LP, which features additional content including lyrics, photos, and album art. A digital version of the Fab Four’s entire body of work is also available for download for $149, and that comes with exclusive access to a video of the band’s first U.S. concert, “Live at the Washington Coliseum, 1964.” Single albums are priced at $12.99, double albums at $19.99. Songs will cost $1.29 each. Thanks to the DJ community not only can you buy needles, but you can buy the turntables. And you can rig it up to any sound system you want for any size crowd you want. There are still people that enjoy putting the needle on the record. It is only “BIG” for Jobs !!! He makes MO’ MONEY, MO’ MONEY, MO’ MONEY !!! Cursor_ good job layin’ the smack down on that fool. skeptic said: So… it’s strawberry fields forever, is it? Nope, it’s Strawberry Fields until some time next year when the contract expires. bobbo said: Beatles, Pink Flloyd, Led Zep, Stones, Guns and Roses, Queen, and Lady Gaga. Which one doesn’t fit? Guns and Roses. They sucked. ok, its NOT CALLED DRM. how about a simple registration number to the machine it was SOLD to. and if you load it to another computer, itunes checks the number.. If the number pops up, a bunch of times, its reported. How about devices that are REGISTERED to your machines ONLY…and if itunes see’s this device connected to more then a FEW, the device is killed. 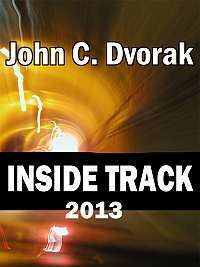 surreptitiously..
#36 Barnes and Noble sells DRMed ebooks tied to the credit card used to make the purchase. To read the book you have to enter the name and number on the credit card the first time. Does not surprise me that Apple would hype such a trivial thing. But you have to wonder if Apple really thought this was a big deal? Who are The Beatles ? I’m thinking you need a hobby or something. Fly tying is quite fun and relaxing. #42 No, I was thinking you seem just a little obsessed. Poking the fanbois is harmless fun, Dvorak is the master of this. Try his approach, you might actually enjoy it more. I didn’t lay any smack. I’m just educating folks that the record and the turntable is still hanging on. Its just moved on to new things. Someday it will migrate into touch-based apps, but until then we have the old skool. And I can’t wait to see them touch screen apps! That’s gonna be awesome! Bad Behavior has blocked 13881 access attempts in the last 7 days.